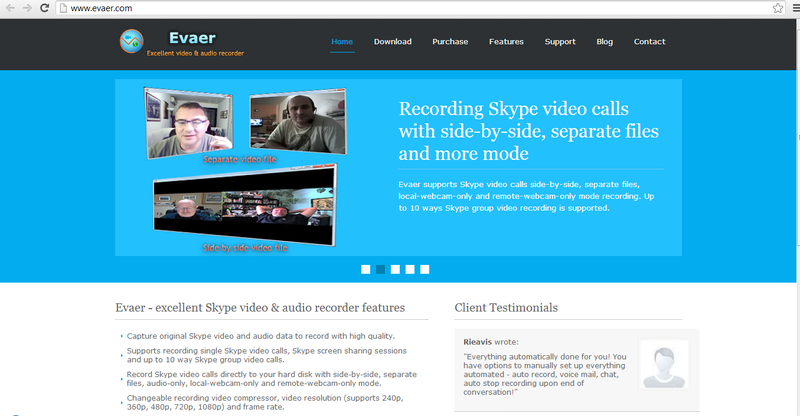 Recording Skype video calls with side-by-side separate files and you can do many more also..
We can easily install that application by simply going to the above said link, and move to the Download tab, and click on the below seen, download button, your download will begin automatically. Here you can find the version also, as this application is available for multiple platforms including Mac also. 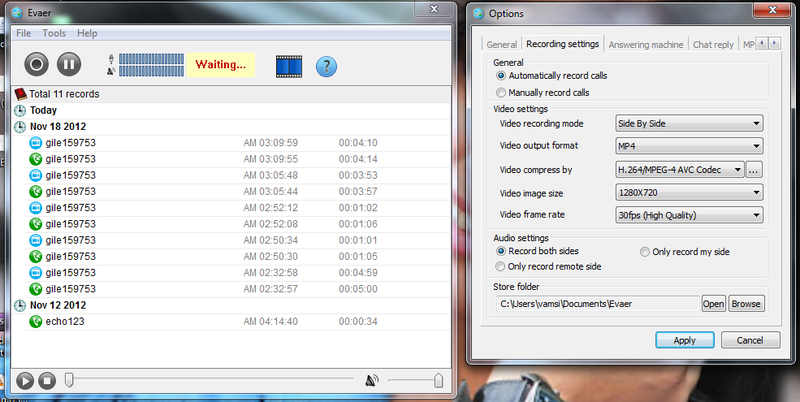 Here is the screen shot for this application, you can view the settings for this application in the right side window and screen shot for application in the left side window, we can change the Video Recording Mode also, as Side-By-Side or Single side, and Video Format/Output also, you can find the list of options in the below image, one can change the location of the output files also..
Hope you will enjoy this beautiful application. Evaer.